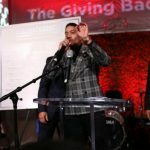 Over the Super Bowl 53 weekend, the Edwin Jackson 53 Foundation announced 53 scholarships will be awarded to college students across the country during The Giving Back Fund’s “Big Game, Big Give” charity gala hosted by Chris “Ludacris” Bridges and Jamie Foxx. The announcement comes on the anniversary of Indianapolis Colts linebacker and Atlanta native Edwin Jackson, who was killed by a drunk driver on Super Bowl Sunday in 2018. 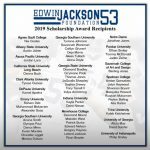 The Edwin Jackson 53 Foundation was started in 2018 to celebrate and carry on Edwin’s legacy of supporting walk-on athletes and college students invested in youth oriented community service. 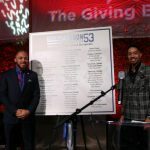 The Edwin Jackson 53 Foundation will award 53 book scholarships to selected college students in Georgia (including students from Morehouse College, Spelman College, Clark Atlanta University, Emory University, and Georgia State University), Indiana, and California who have demonstrated a commitment to youth focused community service. 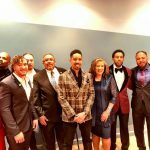 The purpose of the Edwin Jackson 53 Scholarship Program is to recognize and support college students who use their time and talents in their communities to inspire youth. The goal is to mobilize and encourage the next generation of leaders who display the work ethic and commitment to community that were the hallmarks of the late Edwin Jackson.